Like most ladies who put on weight just by sniffing cake, I try and eat healthily to keep myself slim. I do actually really enjoy eating well and feeling healthy for it. I love fresh vegetables and lean meat like chicken or fish. I also enjoy eating mounds of crisp salad when the sun is shining like it is today. However, despite enjoying having self control over portion size, what I eat and what time I eat it, when a certain time of the month creeps up on me and my hormones start to bubble, something inside me clicks like a light being turned off and the gluttony monster rears it's ugly head once more to undo all my good efforts. Ladies, you know what I mean: CRAVINGS! Gone is the want of a spinach omelette for brekki or tuna salad for lunch....even meat and two veg for dinner isn't good enough no, I want stodge and I want lot's of it! Before I know it, I am dreaming about making a pizza and loading it with cheese or making breaded deep fried chicken and home made chunky chips smothered in salt and vinegar *dribbles*. I think of home made pasta dishes with either pesto or carbonara sauce and warm garlic bread or steak or sausage and mash with 'proper' gravy. It is uncontrollable! The problem with me also is when I am in the mood to binge eat I really do binge eat in style! Because I don't allow it too often I take advantage and like to stuff myself until I feel sick and can't move, just in case I miss out or it is a long time before I allow myself to binge again! You can imagine just what my diet is like for that whole week I am feeling hormonal and dreaming up how many foods go well with melted cheese. 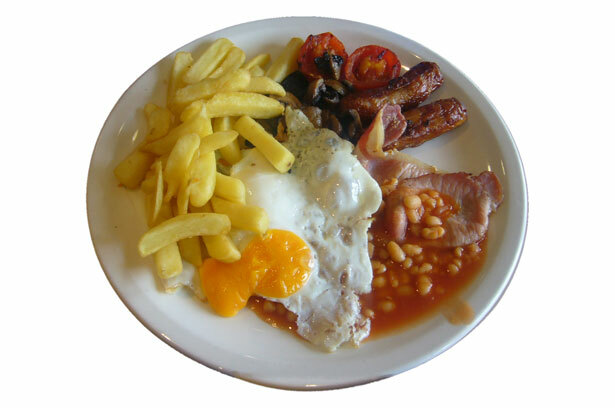 It hits me from the moment I wake up and feel hungry, all I want to eat is a HUGE cooked breakfast on a big plate with a side order of more breakfast. Once that week is over however I snap back again - it is so strange! Almost like the whole thing was a dream and I am now back to reality. Eating chunks of cucumber and carrot or handfuls of healthy nuts becomes the normality again and the thought of chocolate cake (Which I always crave too when hormonal) makes me feel a bit sickly. I don't believe in diets I truly believe that if you move enough and eat healthily and well most of the time you can forgive yourself the times when you are really bad! I fall off of the healthy wagon stupendously and get major food guilt with every bit especially when it is something sweet like cake. It's almost like I can feel the sugar turning into fat with every mouthful I bite and cake consumption tends to be follwed by major food guilt but all in all I still think to myself that life is too short to worry and cake is a treat and not an everyday occurance so I should just enjoy it. So, for now I am back to normal: eating fruit, veg, chicken and salad and trying to avoid sugar and bad carbs. However it won't be long before the forces of food evil will rise again determined in their quest for fatdom to knock me off my health horse and succumb to the power of indulgance. Until such time though, I will enjoy this mid morning banana.